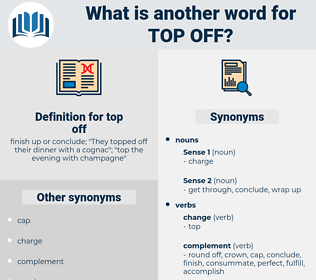 What is another word for top off? 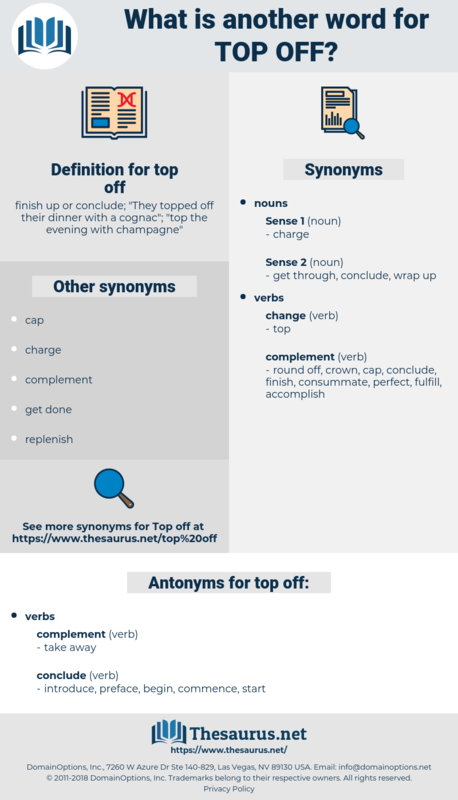 finish up or conclude; " They topped off their dinner with a cognac"; " top the evening with champagne"
introduce, preface, begin, commence, start. empty, spend, take, drain, use, exhaust, void, deplete. benefit, bless, aid, assist, help. dispose, distribute, allocate, disperse, unpack. fill up, finish, complete, fill, make full.